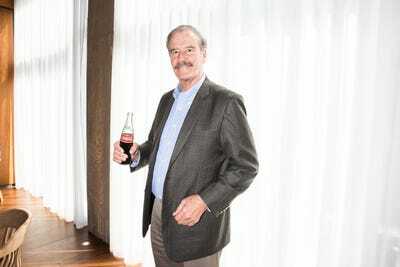 Sarah Jacobs/Business InsiderVicente Fox, former president of Mexico, was once a Coca-Cola delivery worker. 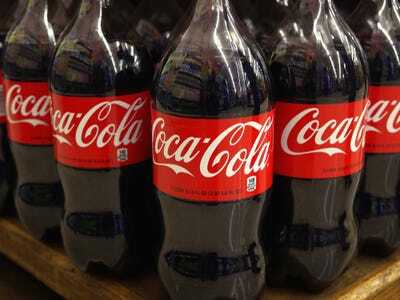 The average Mexican drinks more than 700 cups of Coca-Cola a year – nearly double what Americans drink. 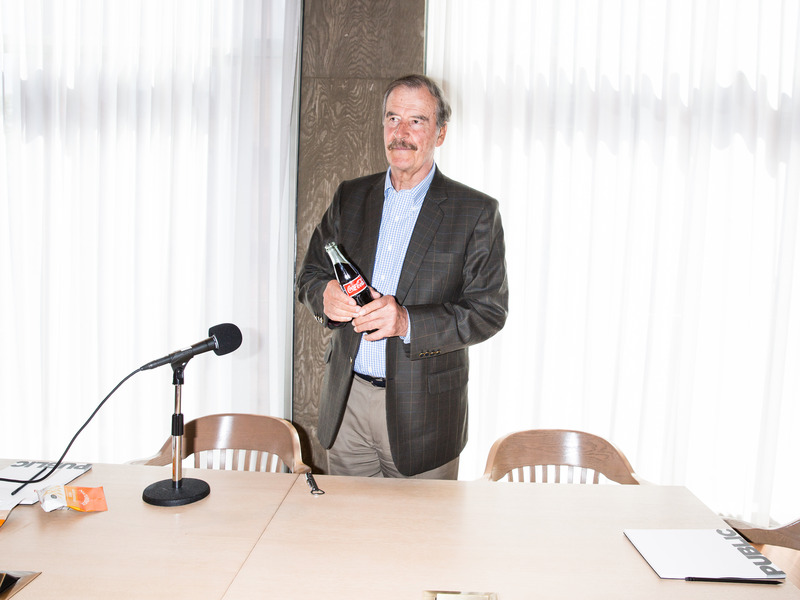 In Business Insider’s new podcast “Household Name,” Fox explains how he spent his early days working his way up the ranks of Coca-Cola. To hear the full story, subscribe to the podcast for free here. But Coca-Cola wasn’t always such a huge part of Mexican culture. 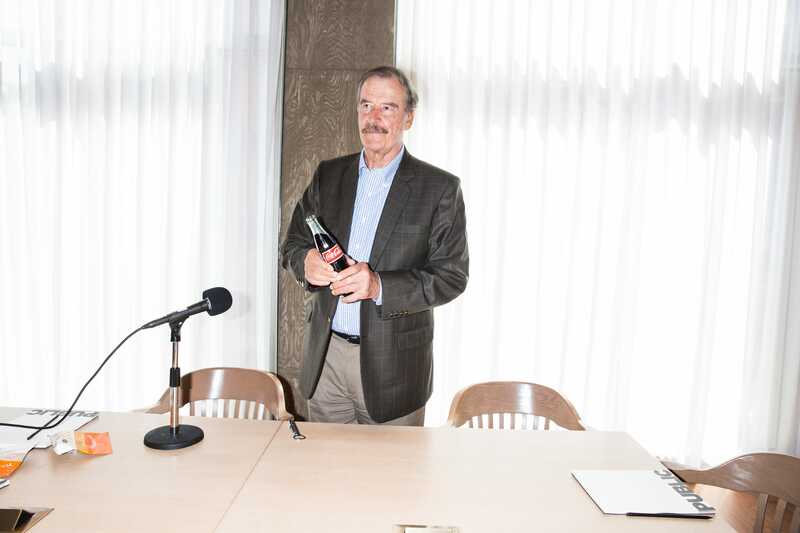 It grew slowly in popularity as one of its delivery workers – Vicente Fox – rose up the ranks to become president of Coca-Cola Mexico and eventually, president of the whole country. The story begins in the 1960s, long before Vicente Fox became the president of Mexico. 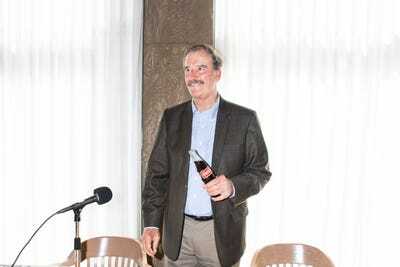 Back then, Fox was working for Coca-Cola as a salesman, delivering Coke to local businesses. 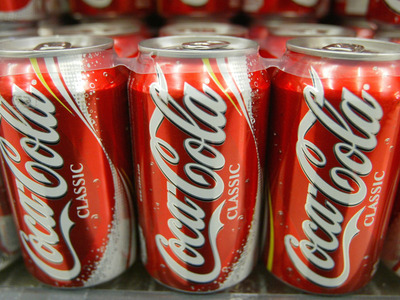 Fox said he would incentivise local businesses to become exclusive to Coca-Cola, rather than Pepsi. Not long after that, Fox became president of Coca-Cola Mexico. But he wasn’t satisfied in the position. 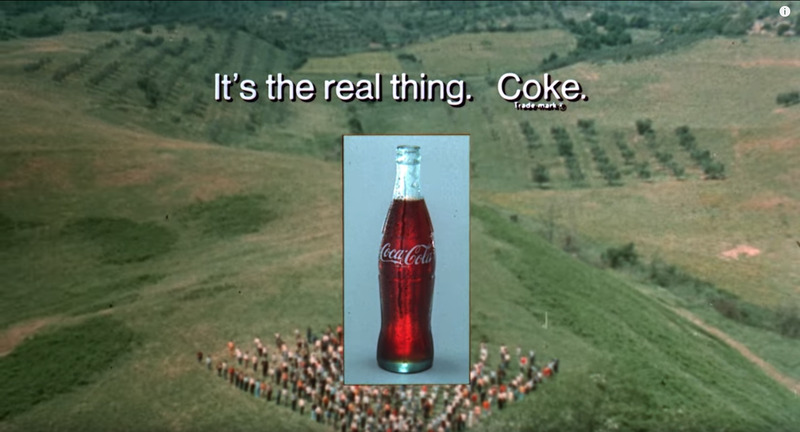 In 1979, he returned to his family farm. 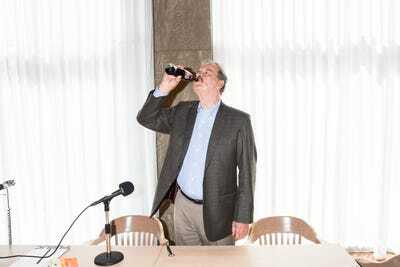 Fox said that some of his first donations while running his campaign came from Coca-Cola. 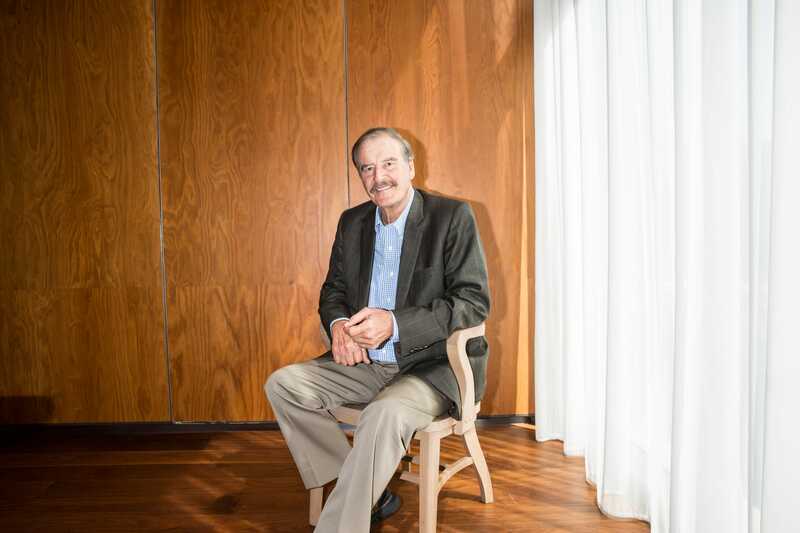 Even though Fox’s presidency disappointed many Mexicans, Coca-Cola’s business boomed while he was in office. Part of why Coke was growing so explosively in Mexico around the time of Fox’s presidency is because of the North American Free Trade Agreement. 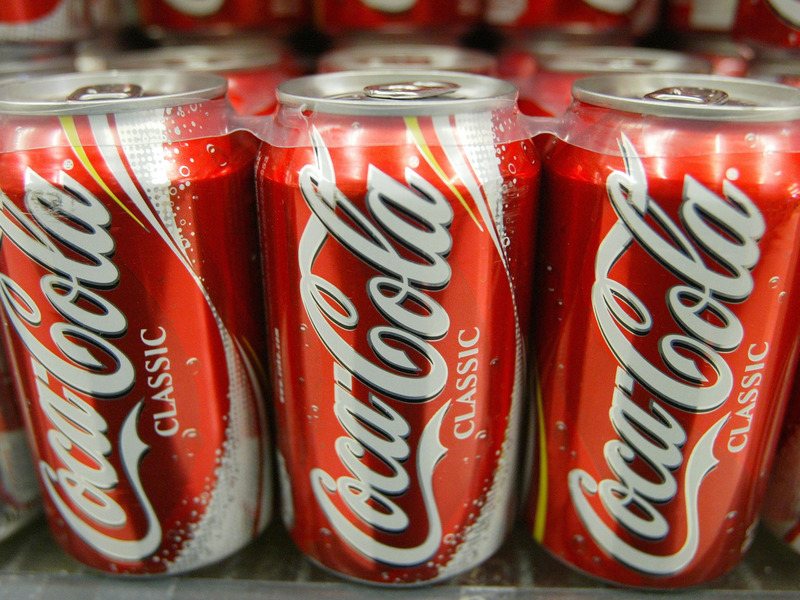 Mexico joined NAFTA in 1994, and it became way cheaper to buy Coca-Cola in Mexico. There are some places where it’s used in religious ceremonies, like at the “Coca-Cola Church” in the state of Chiapas. It’s really the St. John’s Church, but that’s not what most people call it. A few decades ago, the religious leaders replaced a traditional alcohol with Coke. They use it for a variety of things like decoration and healing, and they drink it in ceremonies. But there was a downside to Coke’s sudden spike in popularity — the diabetes rate doubled in Mexico between 2000 and 2007. The Coca-Cola Company and our bottling partners have long believed that we must conduct our business sustainably and grow responsibly by striving to do business the right way. As a total beverage company, we are working to provide people around the world with more of the drinks they want. We agree that people shouldn’t eat or drink too much sugar and we’re taking specific, meaningful actions to help people drink less sugar from our beverages. This starts with our support of the World Health Organisation’s guideline that people limit their daily calorie intake from added sugar to no more than 10 per cent of their total calorie intake. It extends to the actions we are taking to provide smaller, more convenient package sizes; to introduce new reduced and no-sugar drinks; and to reduce sugar in existing drinks around the world. We also are focused on lessening our environmental impact per litre of product we produce. Our environmental priorities and goals center on water, packaging, climate and agriculture. Our programs in these areas drive progressive, and sometimes industry-leading goals and we have institutionalized an approach to advance our business toward these goals around the world. With the help of independent third parties, and using generally accepted scientific methods, we estimated that we exceeded our initial goal to replenish all the water we use in our beverages and their production worldwide in 2015 and we continue to strive toward that goal year over year. For more information please review our sustainability report: https://www.coca-colacompany.com/sustainability.